The Zetasizer Nano ZSP, a premium particle characterization system from Malvern Panalytical, is suitable for the characterization of nanoparticles and proteins where the highest sensitivity for zeta potential and size measurement is needed. 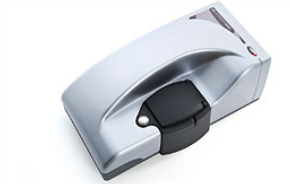 The Zetasizer Nano ZSP delivers excellent performance and includes a two angle particle and molecular size analyzer for improved measurement of low or high concentration samples; small or dilute samples; and for detection of aggregates using dynamic light scattering with non-Invasive Back Scatter (NIBS) optics. The ZSP also includes a molecular weight analyzer using static light scattering and a zeta potential analyzer that employs electrophoretic light scattering for molecules, particles, and surfaces. In addition, the system includes a protein measurement option for protein mobility measurements. Our existing Malvern Panalytical system for nanoparticle sizing was in frequent use, so we made the decision to buy an additional instrument. The high sensitivity of the new Zetasizer Nano ZSP for zeta potential measurement was a deciding factor in our decision to purchase.